R.M. 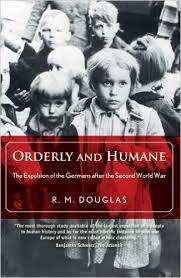 Douglas’ Orderly and Humane: The Expulsion of the Germans after the Second World War tells the little-known story of the expulsion of ethnic Germans, Volkdeutsch, primarily from Czechoslovakia and Poland, and secondarily from Hungary, Yugoslavia and Romania in 1945 and 1946, into a battered and beaten Germany. By virtue of Article 13 of the Potsdam Decree of August 1945, the victorious allied powers – the United States, Great Britain and the Soviet Union — specifically mandated “orderly and humane” expulsions of ethnic Germans from Czechoslovakia, Poland and Hungary. The Volkdeutsch populations of Romania and Yugoslavia were not covered. Article 13 provides Douglas with his title Orderly and Humane, used with forceful irony throughout this engaging work. In 1945 and 1946, approximately 12 million ethnic Germans were uprooted from the lands where they had lived, sometimes for generations. Their expulsion was not only the “greatest forced migration in human history, but may well constitute the greatest single movement of population” (p.65), Douglas writes. It gave rise to a “massive state-sponsored carnival of violence” (p.129), resulting in a death toll that Douglas estimates to have been somewhere between 500,000 and 1.5 million. 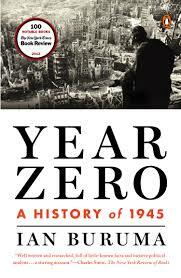 As such, the expulsions were “unique in the peacetime history of twentieth-century Europe” (p.129). Yet, Douglas notes, this was an episode in European history that “escaped the notice of most Europeans, and practically all Americans, other than those physically present on the scene” (p.129). The want of attention given to this episode in the United States and Great Britain may be attributable to what Douglas describes as the “dominant narratives about the nature and meaning of the Second World War” (p.353) – the “good war” notion — in which the Western democracies, allied with the Soviet Union, fought and defeated an irrefutably evil enemy. In the abstract, the thought of uprooting 12 million people on account of their ethnicity and sending them to another country would make most of us recoil. But there was nothing abstract about the circumstances of ethnic Germans living in Czechoslovakia, Poland and elsewhere in Central and Eastern Europe in 1945 and 1946. These were lands which Nazi Germany invaded and went on to commit uncountable and unspeakable atrocities. Whether the Volkdeutsche should be regarded as “perpetrators,” “victims” or “by-standers” of Nazi atrocities is, Douglas writes, a “question without an obvious answer” (p.59). 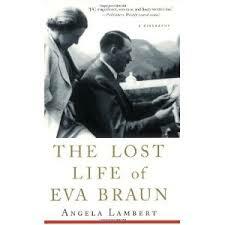 Yet, he writes elsewhere that during World War II, the Czechoslovak German ethnic population, Sudetendeutsche, “whether enthusiastic Hitlerites or passive anti-Nazis, continued to serve the Greater Germany of which they considered themselves a part” (p.38). In this respect, they “did not differ from any of the other ethnic German . . . communities in Poland, Hungary, Yugoslavia, the Baltic states and elsewhere who, regardless of their individual political leanings, either aligned themselves with the Reich or did nothing to oppose it” (p.38). Douglas must therefore address a variant of the notion of collective responsibility: to what extent should those of German ethnicity be held accountable for the crimes that another government committed? Czechoslovakia and Poland argued that the Volkdeutsche were “even more guilty that the people of the ’old Reich’ by virtue of having added treachery to barbarity” (p.287). Although the Allies never explicitly issued a finding of collective responsibility of the Volkdeutsche, there was little dissent in 1945 to the view that Nazism was at bottom an extreme manifestation of “brutal pan-Germanism” with which the “minds and hearts” of ethnic Germans, like those within Germany, had been “thoroughly imbued” (p.287). Moreover, does calling attention to the multiple human rights violations committed during the expulsions risk disparaging those who suffered because of the still greater crimes of Nazi Germany? Wasn’t there room for what Douglas terms “cathartic cruelty” (p.370) toward all Volkdeutsche once the heinous Nazi enemy was defeated and the “boot was on the other foot” (p.9). These questions lurk behind Douglas’ methodically written yet passionately argued work. His work is not easy to read. Douglas’ prose sometimes seems dense, but that is largely a consequence of his comprehensive coverage, in which he presents his subject matter from every conceivable angle and delves deeply into each angle. There are full chapters dedicated to the place of the Volkdeutsche in countries outside Germany in the late 19th and early 20th centuries; prior European experiments in mass expulsions; Nazi Germany’s forced expulsions during World War II; camps utilized as holding grounds for expellees (sometimes the same camps the Nazis had utilized); treatment of Volkdeutsche children; administration of territory formerly occupied by Volkdeutsche and confiscation of their property; resettlement and integration of Volkdeutsche into Germany; application of principles of international law to the expulsions; and vestiges of the expulsions still with us today. Throughout, Douglas emphasizes how expulsion of the Volkdeutsche out of other states and their absorption into the ruins of Germany was undertaken with shockingly little advanced planning — remarkable for the “deliberate refusal of those who carried [the expulsions] out . . . to make any preparations, of however rudimentary a character, for an enterprise whose disruption to the normal life of central Europe was second only to that caused by the war itself” (p.65). Douglas painstakingly documents numerous other failings of the public authorities who participated in or condoned the widespread human rights abuses resulting from the expulsions. But he reserves his harshest judgments for the indispensable roles played in the expulsions by the Western Allies, the United States and Great Britain who, he writes, “disavowed any responsibility for the suffering that resulted, which was, they asserted, entirely the concern of the expelling states or of the Germans themselves” (p.285). Two terms were used to describe the expulsions of Volkdeutsche during the height of the expulsions — roughly the 20 months between May 1945 and December 1946 – “wild expulsions,” putatively spontaneous actions of feed up citizens ridding their country of all vestiges of Nazism; and “ordered expulsions,” those expulsions sanctioned by the Potsdam accords in August 1945 for Czechoslovakia, Poland and Hungary, designed to put an end to wild expulsions. One of the many contributions which Douglas makes to our understanding of the period is his demonstration that there were very few actual “wild expulsions.” Most were not carried out by mobs but rather “by troops, police, and militia, acting under orders and more often than not executing policies laid down at the highest levels” (p.94). Yet, the expelling governments encouraged the notion of wild expulsions, which amply suited their interests. The most notable exception occurred in Czechoslovakia immediately after the Nazi capitulation, when Czechs hunted Germans across Czechoslovakia throughout May and into June 1945. The prime movers were local civilians, “albeit highly politicized ones” (p.100). But, Douglas cautions, “[f]ew of the misnamed ‘wild expulsions’ that took place later during the summer [of 1945] followed this pattern” (p.99-100). Most had at least the tacit support of state authorities. Czechoslovakia and Poland receive most of Douglas’ attention. The Czech expulsions in the aftermath of the war were carried out with a ruthlessness not exceeded elsewhere. In the typical case, Douglas writes, Czechoslovakia’s Volkdeutsche, were “rounded up, normally at an hour’s notice, permitted to gather together some hand baggage; searched for contraband; and then marched on foot either to the border or to a holding camp” (p.100). Ridding the country of its Sudentland Germans had been a project of Czech leaders since the country’s creation in the aftermath of World War I.
Czechoslovak leader Edouard Beneš was convinced that the Second World War presented his country with a “once-in-a-lifetime opportunity to complete the Czechoslovakian national project” by ridding itself of unwanted minority populations through mass expulsions (p.16). By 1942, the Czechoslovak government in exile was “openly committed to the removal of all or most of its Sudetendeutsch population after the war. 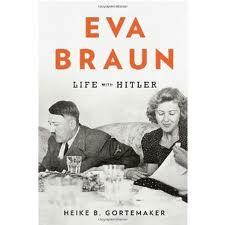 . . no more than 600,000 or 700,000 Sudeten Germans, or a fifth of the prewar population, would be allowed to remain” (p.21). As ethnic Germans were removed from Poland’s recovered territories and Czechoslovakia’s Sudentland — termed the “Wild West” in both countries (p.257) — Czechoslovak and Polish citizens’ “enthusiasm for the expulsions owed a great deal to the prospect that that they would profit from the confiscation of their German neighbors’ wealth” (p.255). Douglas describes the “locust cloud of ‘gold diggers,’ ‘gleaners,’ or ‘prospectors’ who descended on the cleared areas, either to seize the most desirable houses and businesses or simply to loot vacated premises and carry the goods away for use or resale” (p.267). Neither country had drawn up a detailed plan to determine the method by which German property was to be confiscated and redistributed and, in both, “all kinds of moneymaking schemes and scams proliferated” (p.181). The central governments “lost control of the process of redistributing confiscated German properties from the very outset, and never fully regained it. . . ‘gold digging’ permeated the whole of Czechoslovakia and Polish society, from the very bottom to the highest echelons” (p.267). Such “gold digging” even extended to Christian churches, which “enthusiastically embraced the opportunity both to acquire property and to eliminate the local influence of competing sects” (p.267). The removal of the ethnic Germans was not just an enormous logistical undertaking. It was also the source of a highly disruptive economic and social transformation of the affected areas. Yet, proven cases of opposition to forced removal in Czechoslovakia and Poland were “nowhere to be found. The uniform, almost eerie, meekness of the German population was recorded in report an after report in both Czechoslovakia and Poland” (p.115). The lack of opposition was due in part to the demographics of those expelled. Although the justification had been to remove the most dangerous ethnic Germans, those likely to comprise a subversive fifth column, in fact the opposite occurred. The least dangerous ethnic Germans, predominately children and the elderly, were expelled “while the fit men were being held back for forced labor, and in many cases pressured to take out Polish or Czechoslovak nationality against their will” (p.193). In Poland, “[v]irtually every report remarked upon the extraordinarily high proportion of elderly people included in the transports. . . [T]he Polish authorities were taking the opportunity to rid themselves of the unproductive element of the German population, retaining employable males for compulsory labor” (p.169). Up to sixty-five thousand Hungarian ethnic Germans were removed from Hungary by February 1945, about one third of whom died in Soviet camps. Hungary was the “only country in which expellees felt confident enough to display more than negligible resistance to their expropriation and removal” (p.215). Although the Soviet Union opposed expulsion of the Volkdeutsch population from Yugoslavia into their zone of Germany, Yugoslav leader Tito was willing to risk alienating his Soviet ideological allies by expelling Yugoslavia’s Volkdeutsche population. The deportations from Romania were carried out in as chaotic a manner as those in Czechoslovakia and Poland. As many as seventy-five thousand Volksdeutsche were removed. Others were taken up into internment camps, to “facilitate the redistribution of their property” (p.112). Although most ethnic Germans from Romania were not formally deported, they were “confronted with conditions that made it impossible for many of them to remain” (p.112). Douglas’ devotes a full chapter to camps set up to temporarily house Volkdeutsche prior to their expulsion to Germany. In Poland, the infamous Nazi death camp Auschwitz was quickly made available for Volkdeutsche. Douglas also devotes a full chapter to the effect of the expulsions on children. Although the expelling countries and the Western Allies had subscribed in 1926 to the International Declaration on the Rights of the Child, which stipulated that children were to be the “first to receive relief in times of distress” without taking into account “considerations of race nationality, or creed,” the convention remained a “dead letter” throughout most of 1945 and 1946 (p.240). With a few exceptions, there is “little evidence to suggest that the authorities exerted themselves to shield children from the harsher aspects of camp life” (p.236). Rather, the response of authorities to humanitarian appeals on behalf of children was “almost without exception to ignore them” (p.235). Between 160,000 and 180,000 of the children who became separated from their parents in the course of the transfer operations had not been reunited with them by 1950. Despite some general sympathy for children, Douglas concludes, “Western opinion in general was not ready to deviate from the established narrative of Germans as ‘perpetrators,’ regardless of the age or exact status of the ‘Germans’ concerned” (p.240). Early in 1947, Great Britain became the first of the three Allies to call for an end to the Volkdeutsche expulsions, with the United States following shortly thereafter. The Western Allies did not withdraw their support for the expulsions they had authorized on humanitarian grounds. Rather, they “found themselves confronted with a first-class social, economic, and humanitarian crisis that threatened to undo whatever plans they had made for German reconstruction, as well as to disrupt the economics of the expelling states for years to come” (p.193). What had changed by the end of 1946 for Britain, Douglas argues, was not the “degree of suffering caused to the expellees, but the enthusiasm of British administrators and politicians for a project that was creating an accelerating, open-ended, and ruinously expensive social crisis in their occupation zone [of Germany], for which taxpayers at home would have to pick up the bill” (p.196). Thus, after “coping—or failing to cope – with the ‘wild expulsions’ of 1945, and finding the ‘organized expulsions’ of 1946 from their perspective to be less satisfactory yet, each of the Allied powers entered 1947 with the same overriding objective: to put an end to what was proving to be an intolerable burden to it as quickly as possible” (p.193). Critics of the expulsions had argued that the Volkdeutsche would never be successfully integrated into Germany, their new homeland, and would remain a glaring social problem that could affect the overall health of the country as it tried to rebuild after the devastating war. On this score, surprisingly, the critics were wrong. Douglas stresses how little social upheaval could be attributed to the Volkdeutsche immigrants in post-war Germany. Fears of widespread juvenile delinquency, sexual promiscuity, and educational underperformance were “not borne out by events” (p.253). Within an “incredibly few years,” the expellees had become “effectively – if not quite completely – integrated into the larger society in both West and East Germany” (p.302). Roughly one-fourth of Germany’s population today is descended from expellees from neighboring countries in the immediate aftermath of World War II. not just ignored, but consciously and after mature consideration rejected, the unanimous advice of experts who had predicated with great accuracy the state of affair their policies would produce. They had knowingly opted to pursue a course that would cause greater rather than less suffering, so as to generate what they regarded as an “educational” effect upon the defeated German population. They had dismissed as irrelevant distinctions between the innocent and the guilty, far less any effort to distinguish between degrees of guilt. They had encouraged their allies to carry out, and promised their cooperation in accomplishing, deeds for which they would later prosecute their enemies as war crimes (p.92). Douglas categorically rejects the notion that addressing the massive human rights violations attributed to the post-war expulsions might in some sense discount or downplay the “unprecedented barbarities of the Hitler regime” (p.157). Most certainly, he argues, the “connection between the expulsions and the Holocaust, as well as to the Hitler regime’s numerous other atrocities, is both inescapable and appropriate.” But a frame of reference that measures acts of violence and injustice in the expulsions against the “supreme atrocity of our time and assesses the former as being unworthy of notice in comparison with the latter makes such violations more rather than less likely to be repeated” (p.347). The focus of any historical or commemorative treatment of the expulsions, as with the other tragedies of the era, “must remain squarely on the human person,” which during both the war and the post-ear expulsions was “reduced to an abstract category rather than recognized as an all too vulnerable individual” (p.361-62). With the exception of the war years themselves, Europe west of the Soviet Union “had never seen, nor would it again see, so vast a complex of arbitrary detention – one in which tens of thousands, including many children, would lose their lives” (p.156-57). For Douglas, the “most delusional aspect of this entire tragic episode” was the supposition that the expulsions could be “directed against a single group of perceived enemies and then never again resorted to for any of other purpose, that afterwards it would be possible to return to a peaceful, ordered existence in which individual rights would once more be upheld and respected” (p.228). 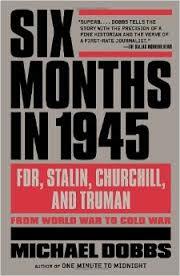 That the post-war expulsions largely escaped the attention of contemporaries elsewhere in Europe and the notice of history today is, Douglas writes, a “chilling commentary on the ease with which great evils in plain sight may go overlooked when they present a spectacle that international public opinion prefers not to see” (p.157). Douglas’ comprehensive and provocative account of this unhappy yet understudied aspect of post-war history provides hope that some lessons can still be derived from it.